This year marks the National Park Service's centennial. But years before being formed in 1916, one of the seeds that eventually helped give birth to the concept was a 1903 three-day camping trip at Yosemite undertaken by then-president Theodore Roosevelt and naturalist John Muir. Roosevelt, as my new book described, was in the midst of a nine-week trip out west, his first ever to California. Part of his plan was to meet Muir and commune with him in nature, just the two of them, and two guides. Over the campfires each night, in the shadow of Sequoias, in the snow up at Glacier Point and near the mist of Bridalveil Fall, the two men shared ideas. Muir convinced Roosevelt that it wasn't enough to just love the natural environment, but also to try and protect and preserve it. President Theodore Roosevelt would eventually be known as the Father of Conservation for the numerous accomplishments during his administration to protect the environment. But in writing my book I discovered a bit of a mystery. Before leaving Yosemite, Roosevelt paid a visit to renowned painter Thomas Hill's studio, located in the park. The president admired a painting of Bridalveil Falls, where he had camped the night before--and so Hill insisted he accept the painting as a gift. By all accounts I have researched--Roosevelt and staff took the painting back with them on the train to DC. One example-NPS citation: "During this visit, Roosevelt met Thomas Hill at his studio. 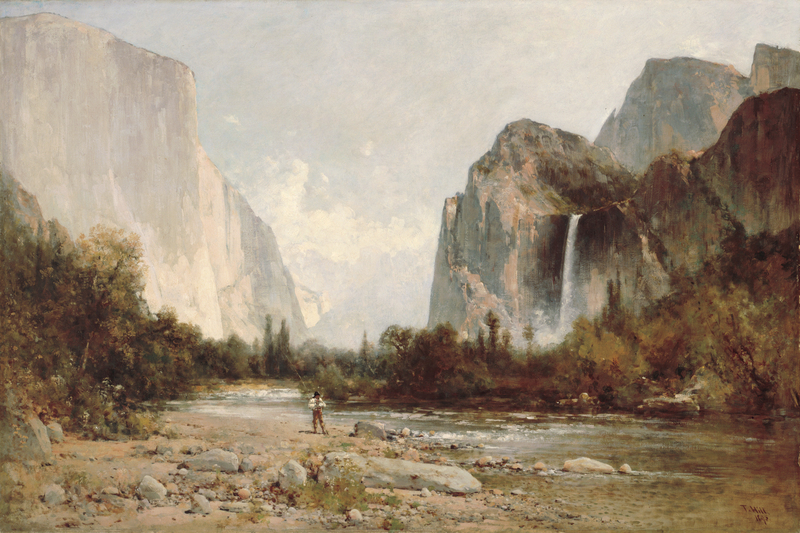 Hill gave Roosevelt a painting of Bridalveil Fall that he had admired, and it returned with him to the White House." I located the beautiful image in the White House archive. It features a lone figure set against the sweeping scenery, and figured that was the end of the story. "Mr. Hill proposed to paint the President in the foreground, just where he camped, and then send the canvas to Washington." I went back and looked at the painting closer. Using a higher-resolution image I obtained from the online White House archive, I enlarged the portion that includes the small figure in the foreground. While not the most faithful image of such an iconic figure as Roosevelt, it certainly appeared to be him. Stunningly, the clue in the letter seemed to be answered. The painting did not leave that day. The painter, paying tribute to the president, made him part of the scenery. 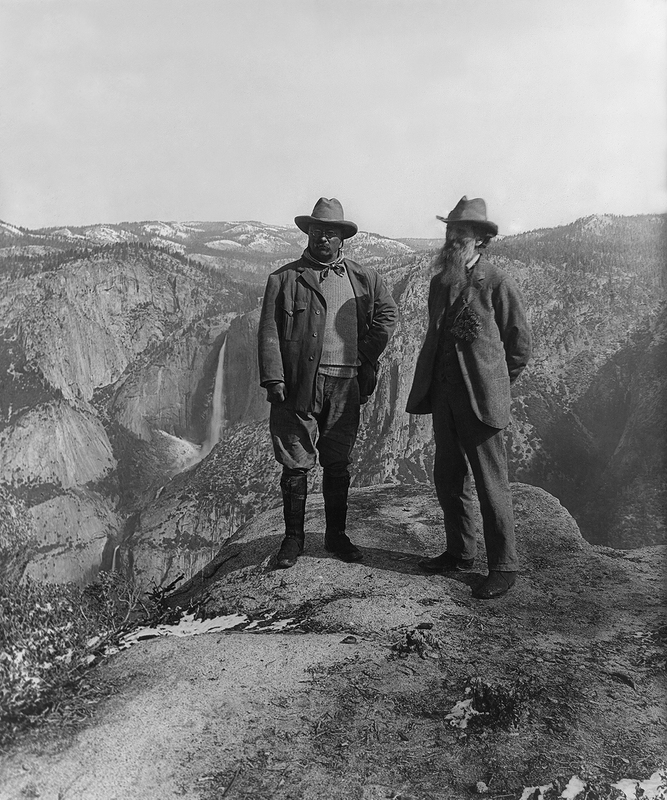 So today, buried someplace in the White House archive, Roosevelt is still soaking up the beauty of Yosemite. 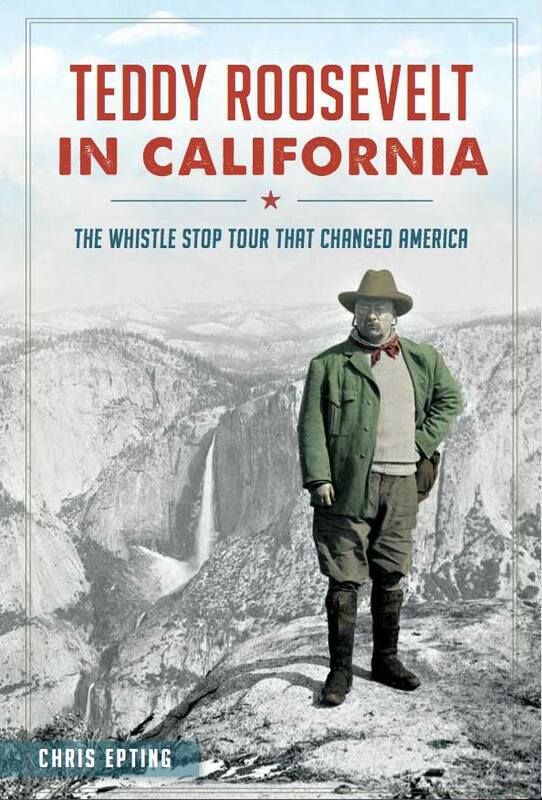 My new book, Teddy Roosevelt in California - The Whistle Stop Tour That Changed America, is available on Amazon here: http://tinyurl.com/hc5amd6.